The subway trains are a beneficial innovation that made life easy for people who do not own a car. It does not have any traffic in most part of the world as most of the people in the developed countries have cars or use buses. In the absence of a tight crowd, passengers can afford to do a lot of things they will never dare to do in crowded places. 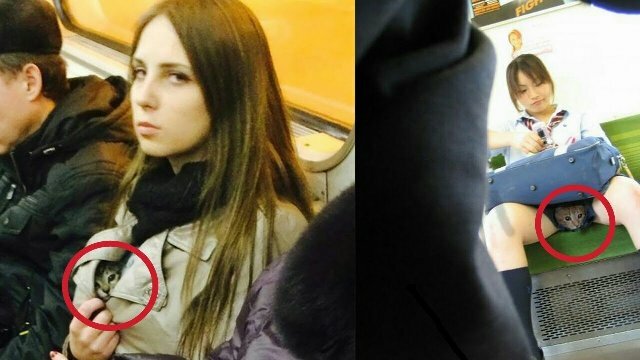 The positions, dresses, and activities of some people in the subway train will really make you laugh a lot. 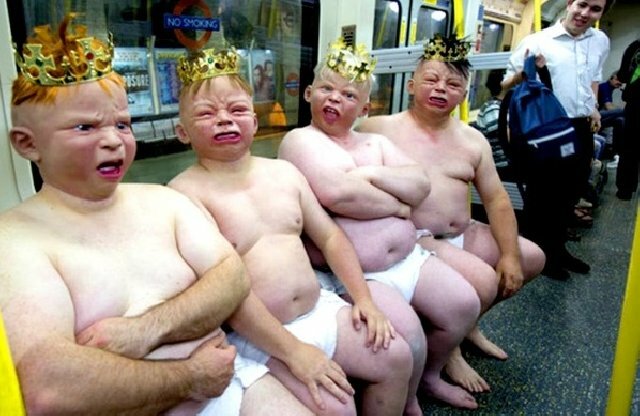 It is said that a subway train is never sort of entertainment. 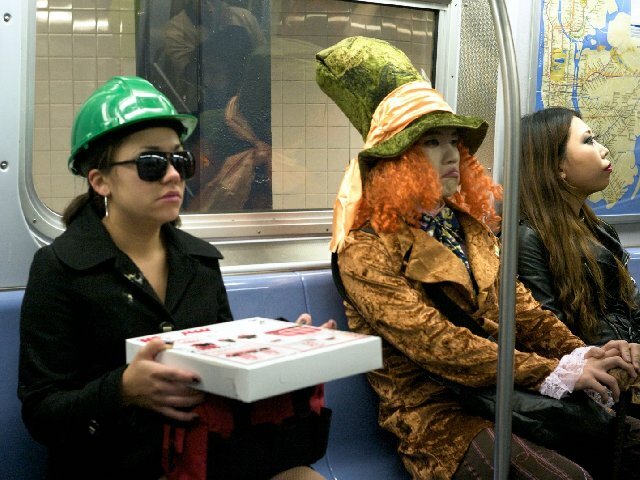 Here are 20 weird photos of people caught in the subway that they do not want you to see. Also Read: 20 Hilarious Pictures Of People Posing With Statues! 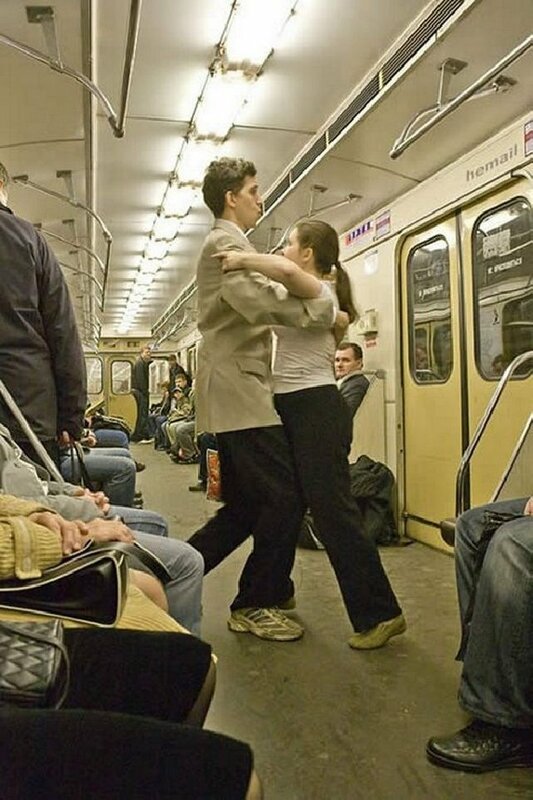 We usually find the different standing position of people in the subway. The structure of their body will sometimes be very funny. When people are sitting in a row, we notice different types of emotions in their face. Some people prefer the activities like dancing and they feel everywhere is always a stage to practice or perform. Even while traveling some people will select a safe location for sleeping. 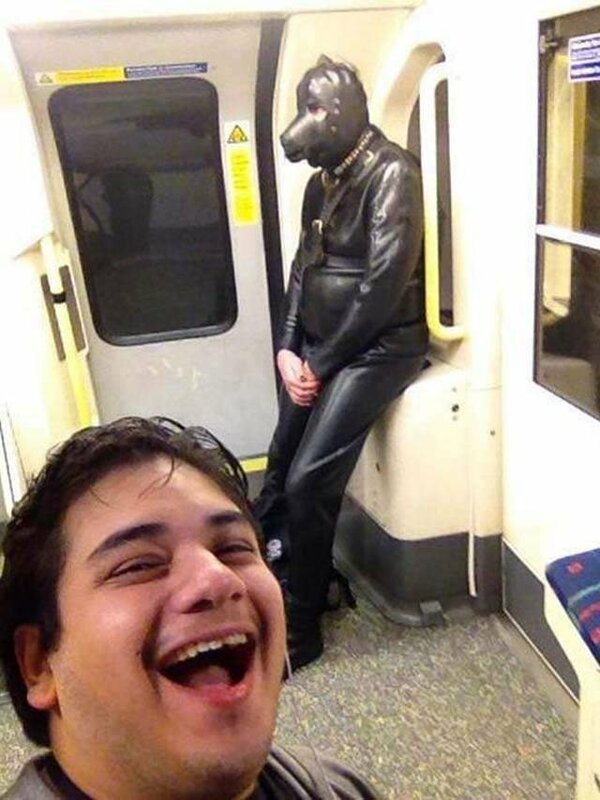 Looking at the picture you will feel that how exciting and weird this picture is, a selfie with a dog-man, lucky guy! 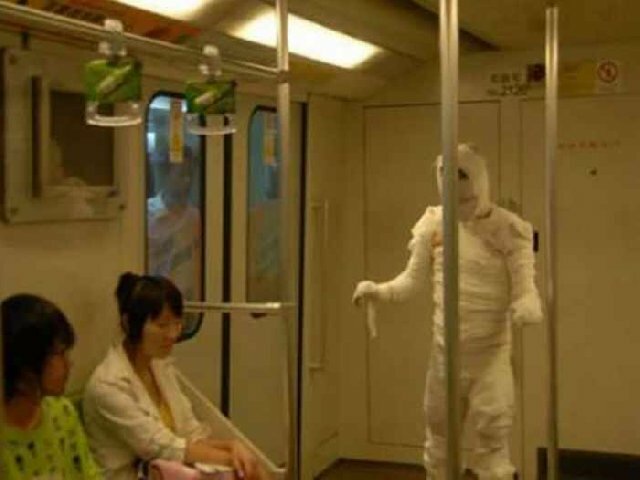 This guy actually decided to become a mummy to make things even worse for people on the subway. 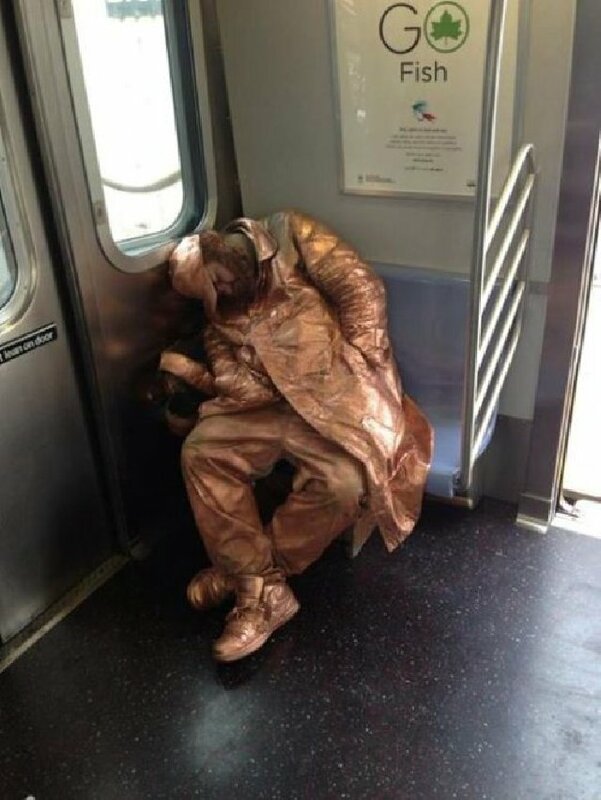 Sleeping in the subway with no disturbance is a rear thing. Proves the guy who is sleeping like a dead man. This guy was so afraid of someone that he decided to blind mask himself instead of facing them. Weird and suspicious! This guy with colorful hairs and a green hat looked like he has arrived directly from the good old comic books. 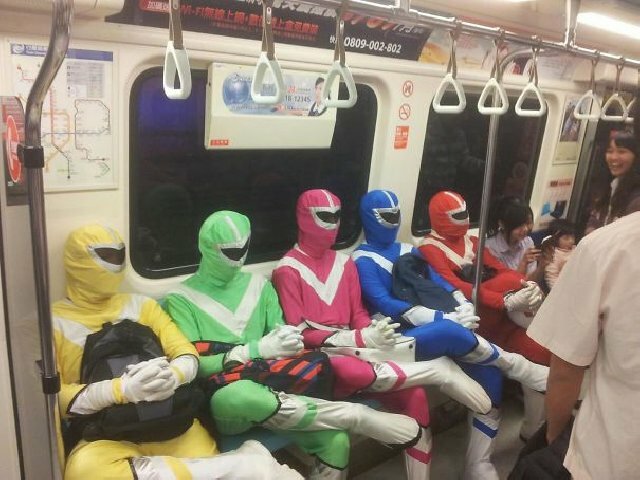 It is fascinating to see the power rangers sitting together in a row. A childhood dream come true moment! 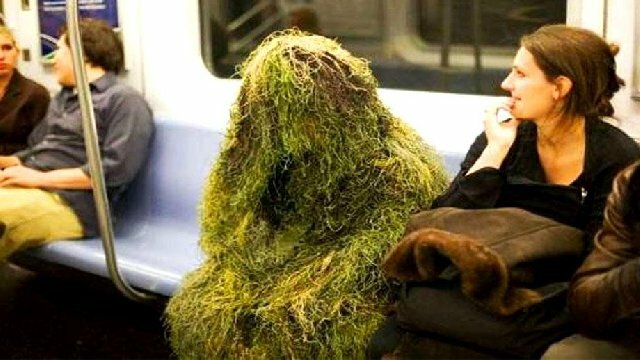 Just imagine a guy covered with grass all over his body sitting right beside you in a subway. How will you feel? 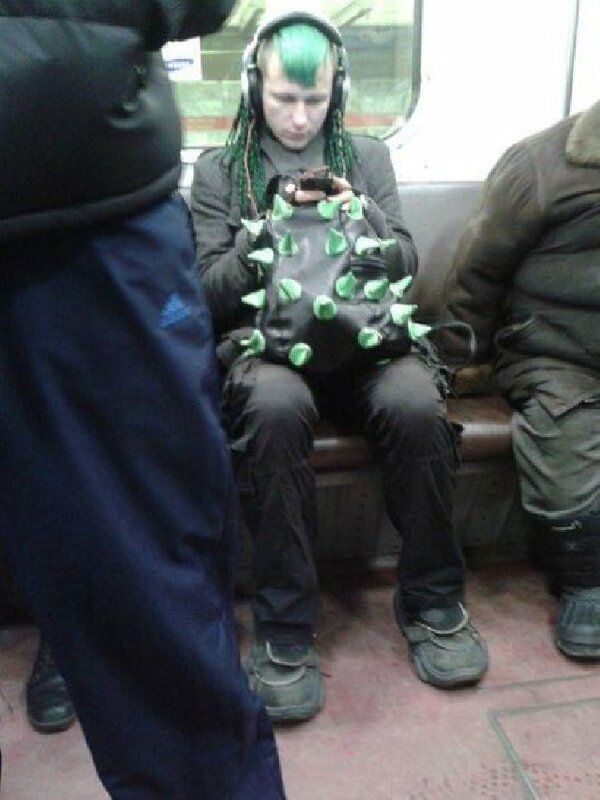 Yes, that’s how the women felt seeing this green man sitting next to her. Have you ever seen an alien? I assume your answer is no, but what if I tell you that we just spotted an alien passing by in the subway. 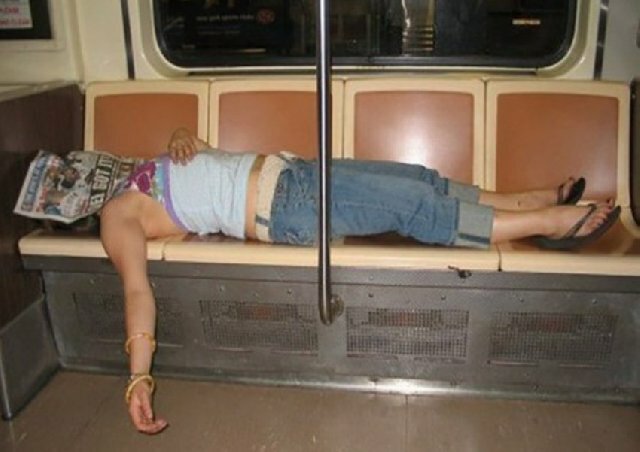 You might have seen something similar, but this was the most hilarious sighting we spotted of girls in the subways standing and sleeping in quite an arousing manner! Just look how this old man is distracted from his magazine and indulged in the view which made his day a little better. 15. 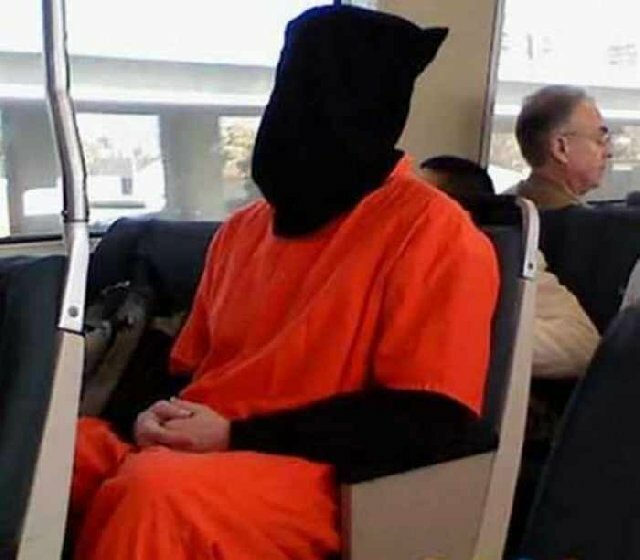 Are cats not allowed on subways? You might have heard, cats are women’s favorite pet, but look at how they carry around their special mate. 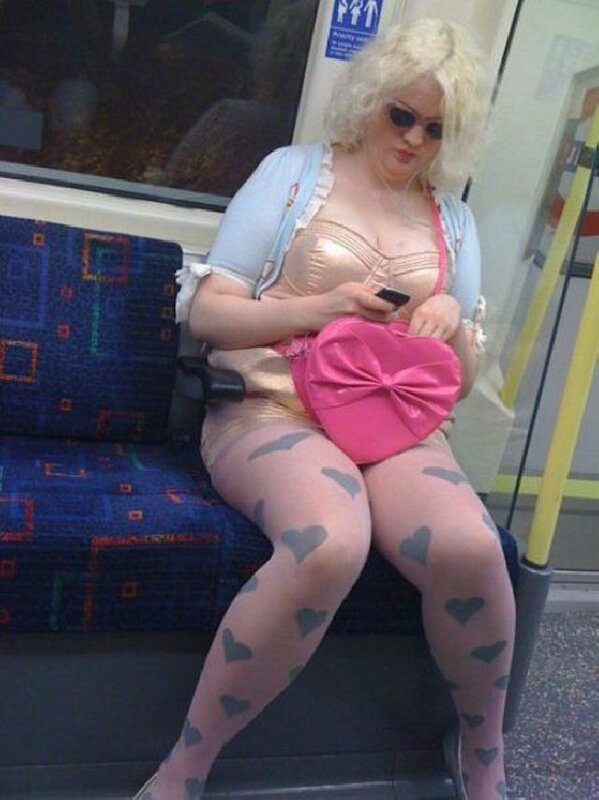 These stockings were gifted to her by her fiancé and look at the ways she has worn them, adorable but hilarious as well! 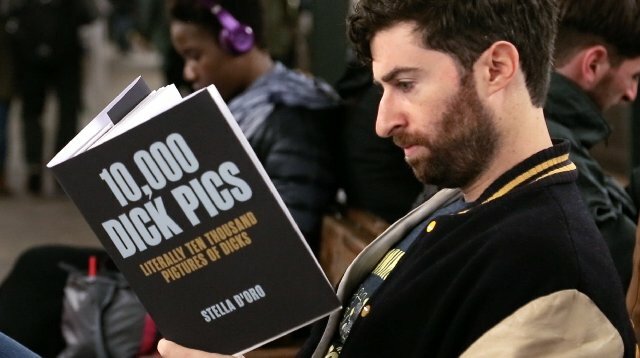 Going by what he is reading, you can assume that this guy is a gay and there still some people who read books in this age of modern technology and smartphones, he must be a classic. You want to see what anxiety can do, just look at this image where women in the subway tied her legs with each other with showing an extreme level of stretchiness. You might have seen Spiderman running across buildings in movies. 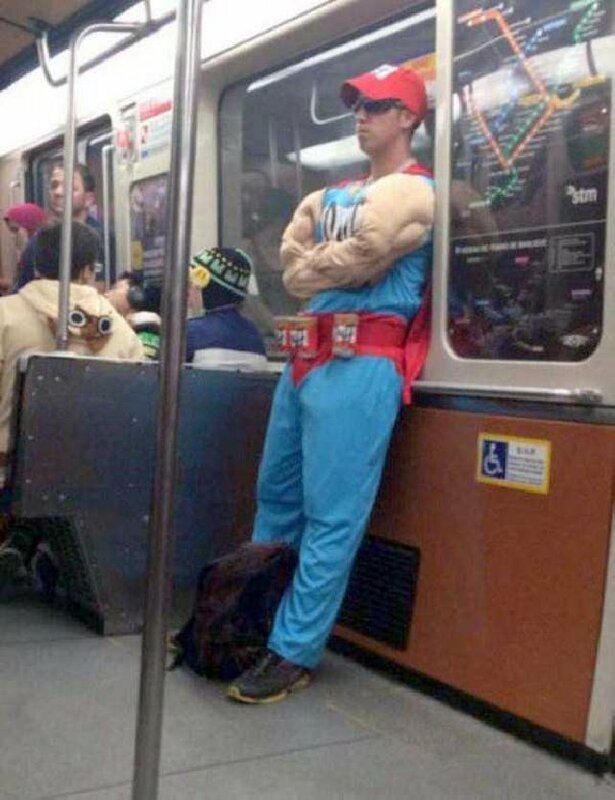 But, have you seen him traveling by subway? 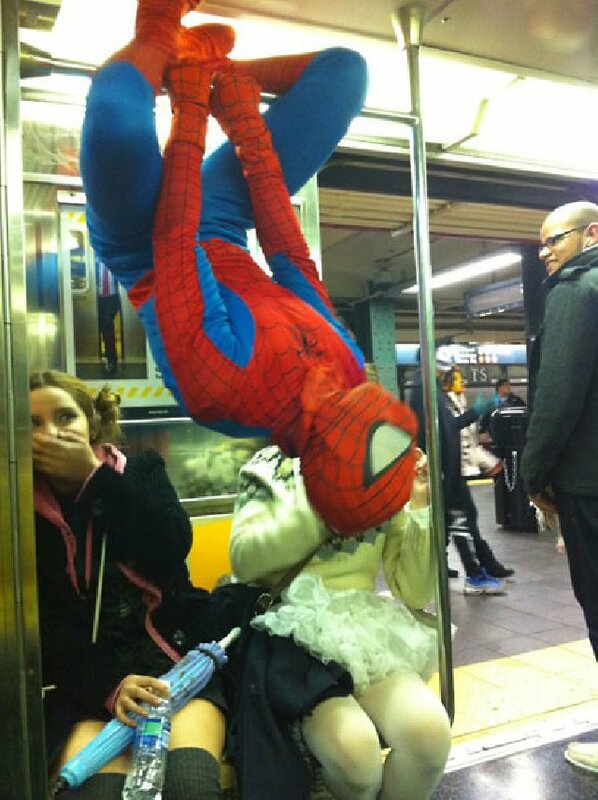 If not, you can check out this image of Spiderman doing so in real! 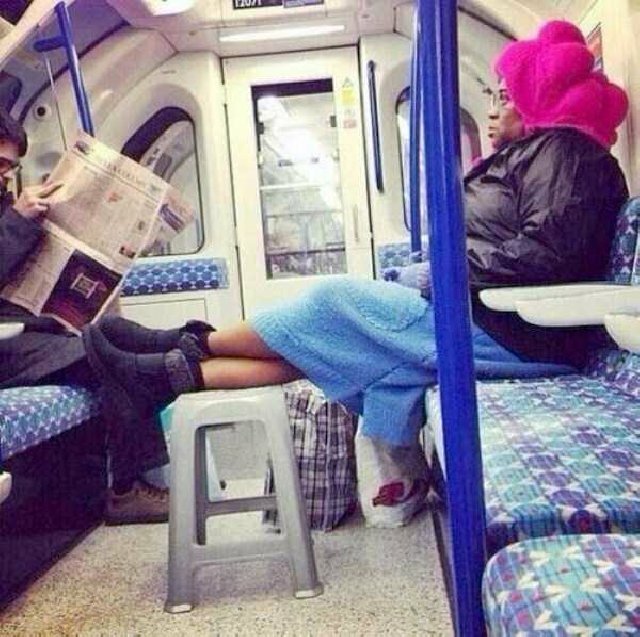 Just look at the attitude of this old woman sitting on the subway with her legs on a stool. Like a boss sitting in his Palace starring at his workmates. Which one of them did you find hilarious enough to make you laugh the most? 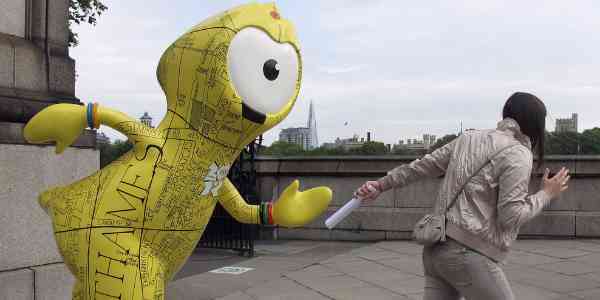 Previous article 13 Awkward Situations People Wearing Glasses Get Into! 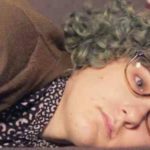 13 Awkward Situations People Wearing Glasses Get Into!